Whatever the cause of your water damage we could restore these issues back to their like before condition. A flooded building could be devastating. Water seeps into carpeting, flooring, walls and furniture. And this could potentially cause mold, rotting or other damage that may go undetected until it’s too late. Whether your water damage has been created by severe weather or through poor plumbing, AllStates Restoration can help you with all your Commercial Water Damage Restoration. We understand you want to stay open and we’ll adjust for your schedule to help you keep your downtime to a minimum. 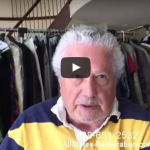 AllStates Restoration guarantees all of our restoration & cleaning services. If one of our Restoration & Cleaning Services is not done right for whatever reason, we will come back and fix it, Guaranteed. The emergency segment isn’t the time to be moving slow. Insurance companies will most likely pay if the cleanup and restoration is performed by-the-numbers in a timely manner. When you take a look at your insurance policy you should see it’s the responsibility of the property owner to take action when there is an commercial water damage emergency. 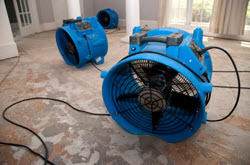 Immediate response is vital minimizing the loss in water damage jobs. Water begins to evaporate on its own if the cleanup process doesn’t start right away. The air absorbs the evaporated water and redistributes the moisture to other items like ceiling tiles and drywall. When you’ve got water damage in your office, store or commercial building, call us for a Free Consultation. AllStates Restoration offers Commercial Water Damage Restoration, Cleanup and Dry-out services, 24-7 every day of the year. Call today!. 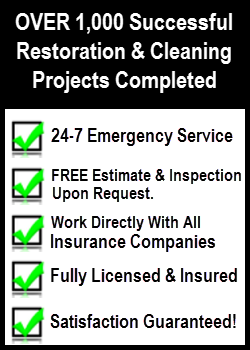 To schedule your NJ Commercial Water Damage Restoration Free Estimate, also in NY, PA or CT Call Toll FREE 1-888-651-2532 or click here. The first thing our IICRC (Institute of Inspection, Cleaning and Restoration Certification)-trained technicians will use special equipment to find out just how intense your commercial water damage problem really is. Once they’ve evaluated the damage, they’ll remove the standing water. The process differs depending upon whether the water is under the property (crawl space) or inside the building including the basement. Under Property or/in the crawl space: We remove the water using an ‘extractor’ to vacuum up standing water, so that everything is no longer soaking wet. If the cause was a broken pipe, we make that pipe plumber accessible. Once the pipe is repaired we remove contaminated soil, spray anti-microbial and then replace the bad soil with new, fresh soil if needed. Inside the building or in the basement: We will get there in less than an hour when the water damage is inside your business. We vacuum up access water using an ‘extractor’. We’ll remove furniture / products / material from the impacted area or put furniture on blocks. In case the water is dirty we get rid of carpeting and padding right away. If the water is clean, we dry the carpet where we can. Carpet pads are sometime removed because it is cheaper to replace in some cases than dry them out. If water damage is at a wall we will make small holes in the wall where the baseboard was (removed) and install heater. This will allow warm air movement to dry the wall faster. From evaluation to completion, our experienced team is ready to handle all your restoration needs. Let AllStates Restoration remove the water and dry out your property therefore you operations will experience the very least possible amount of downtime. 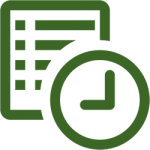 We’ll be on-site at your property location within an hour to an hour-and-a-half. If you prefer, we will dry out your property after hours and remove our drying equipment in the morning which gives you the opportunity to reopen. There are very tough protocols that need to be taken and implemented quickly when it comes to commercial water damage cleanup & restoration. Otherwise, your overall loss could be a lot higher than necessary. 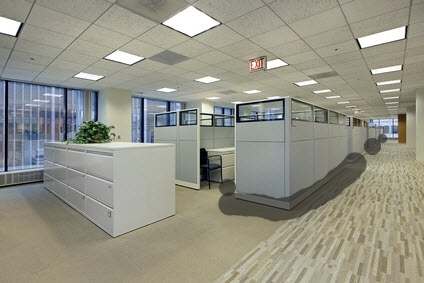 We have a proven track record since 2008 for effectively removing and drying water from businesses and saving wet items ranging from electronics to furniture, to essential paper documents and books. AllStates Restoration Services has the highest industry certifications in commercial Water Loss Management. Not only removing excess water, our IICRC-certified field technicians have the skills and equipment to dry out your facility (including substructure materials) completely back to pre-loss conditions. Our experienced technicians have used our state of the art drying equipment and procedures to restore hundreds of water damaged commercial buildings in New Jersey, New York, Pennsylvania and Connecticut since 2008. 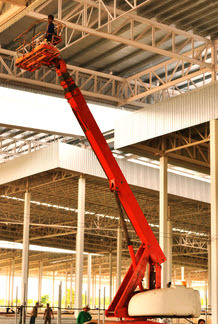 Our large inventory of the latest drying and dehumidification equipment includes water extractors, water pumps, commercial heaters and air-conditioners and dehumidifiers as well hydroxyl generators to remove odor and air scrubbers XXL dehumidifiers, which we use to dry out commercial buildings, large manufacturing facilities and high-rise buildings. Our friendly technicians can handle any size job using sophisticated drying approaches to restore soaked structural materials to their original condition. These same drying techniques could be used to slow down the growth of harmful pathogens like mold while saving furniture, flooring, electronics, documents and books. Broken toilet tanks and toilet bowls that do not contain contaminants or additives. and other contaminants, and as time elapses. Category 2 Water – Water containing a significant degree of chemical, biological and/or physical contamination and having the potential to cause discomfort or sickness if consumed by or exposed to humans. Category 2 Commercial Water Damage is also referred to as “gray water.” Gray water carries microorganisms and nutrients for microorganisms. Gray water may contain chemicals, biocontaminants (fungal, bacterial, viral algae) and other forms of contam ination including physical hazards. Time and temperature aggravate category 2 water contamination levels significantly. Gray water in flooded structures that remains untreated for longer than 48 hours may change to category 3 – black water. Category 3 Water – Grossly unsanitary water containing pathogenic agents, arising form sewage or other contaminated water sources and having the likelihood of causing discomfort or sickness if consumed or exposed to humans. Black water includes sewage and other contaminated water sources entering or affecting the indoor environment. Category 2 water that is not removed promptly from the structure may be reclassified as category 3 water. Toilet back flows that originated beyond the toilet trap are considered black water contamination, regardless of visible content or color. Rising water from rivers or streams. Such water sources carry silt and organic matter into structures and create black water conditions. 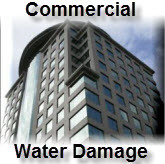 To schedule commercial water damage restoration appointment, call 732-722-5211 or click here.